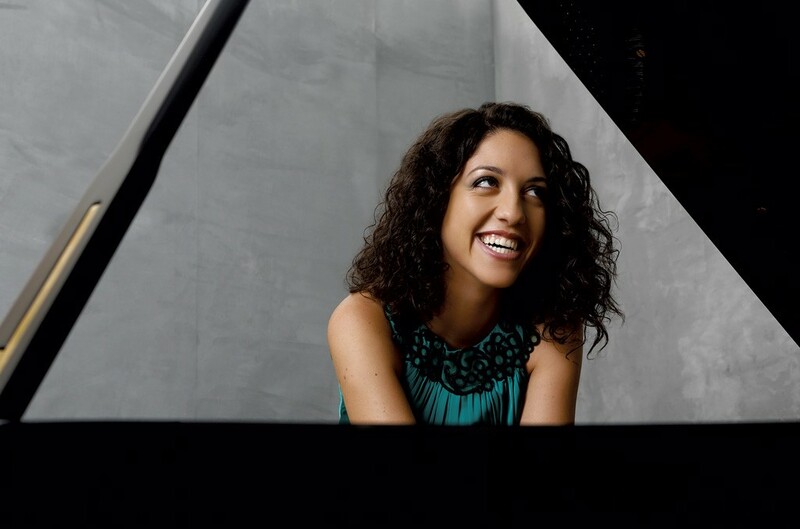 The acclaimed Italian pianist Beatrice Rana leads a life of constant international travel. That's what one might expect of a soloist who won, at the age of 20, the 14th Van Cliburn International Piano Competition's silver medal and audience award. In fact, after Rana stops in Burlington this Friday for a performance with the University of Vermont Lane Series, she'll continue on to Saint Paul, Minn.; San Francisco, Calif.; Aix-en-Provence, France; Tokyo, Japan; and beyond. But in Burlington, the 24-year-old pianist, who lives in Rome, Italy, when not traveling, will be treated to a reminder of home. That's because a sponsor of her concert is the Vermont Italian Cultural Association, a Chittenden County-based nonprofit with about 150 members. A bevy of Italian-culture fans and Italian speakers from the club — some native, some students of its language classes — will shout "Brava!" at the UVM Recital Hall concert and offer dolci to attendees at a reception with Rana afterward. Expect homemade Italian pastries, gelato, fresh fruit and "maybe even some red, white and green balloons," says Bill Cimonetti. The part-time South Burlington resident sits on the board of VICA; his paternal grandparents emigrated from the Trentino region and settled in Readsboro in the 1890s. Cimonetti is also a longtime supporter of the Lane Series and belongs to its Piano Consortium — a group of donors that helps to bring in top pianists. He facilitated VICA's support for Rana. Her program, meanwhile, is not Italian but German: Johann Sebastian Bach's Goldberg Variations. This was a surprise for Lane Series artistic director Natalie Neuert after hearing the "passion and polish" of the pianist's first Lane performance, in 2013, as a newly minted Cliburn winner. "I expected she would bring a piece with big dynamics," Neuert says. Rana won the silver playing works by Robert Schumann, Frédéric Chopin and Alexander Scriabin, and her recordings include an album of Pyotr Ilyich Tchaikovsky's first and Sergei Prokofiev's second piano concertos. Those last works' sweeping and dramatic expressive statements contrast stylistically with the complex architecture of Bach's Goldberg. The 1741 work was written for harpsichord, an instrument with no dynamic range. But Goldberg has become a rite of passage of sorts for keyboardists since Glenn Gould recorded it in 1955 at the age of 22. Beginning and ending with a simple, melodic aria, the work progresses through 30 variations on the aria's bass line in a highly inventive but structured manner. Every third variation, for example, is a canon. While Rana's technical elegance has been noted at every turn, critics have described her interpretation of Goldberg, in concert and on her most recent CD, as "wholly individual" — in tones of both admiration and frustration. That kind of assessment can only come from deep knowledge of the piece, however. Goldberg is enjoyable and astonishing on first listen, especially when played by someone of Rana's caliber. This is a rare chance to see a Cliburn winner a second time, notes Neuert, who brings in all three winners after every competition. (The Cliburn occurs every four years.) Only one other, Stanislav Ioudenitch, has returned to the series. "We would happily bring back Olga Kern," she adds of the 2001 gold winner, "but she is one of the ones who has become a superstar, and she is out of our range now." Rana's career is similarly taking off. Neuert notes that partnering with VICA on the concert may help bring in audience members unfamiliar with the Lane and even with classical music. And, she adds, it will put Rana at ease. "She's really Italian, culturally," says Neuert. "She grew up in this small Italian town. I know it will be fun for her to have Italian speakers around." VICA's mission is to bring awareness of Italian culture to Vermont — "everything from pizza to opera," says vice-president David Usher. Over the last few years, the group erected three historic markers on the corners of the former Italian neighborhood in downtown Burlington. It funds a scholarship program that has helped teachers and opera singers study in Italy. The club also organizes summer bocce socials and trips to the Opera Company of Middlebury's productions — the ones in italiano. It hosts weekly lunches at area Italian restaurants and an annual dinner. (Bonus: VICA's website has a recipe page.) And members are proud to count among their ranks Sen. Patrick Leahy (D-VT), whose mother was Italian. Fêting Rana may be more about hospitality than education for the group. But, as Cimonetti says, "We all reach for our roots."